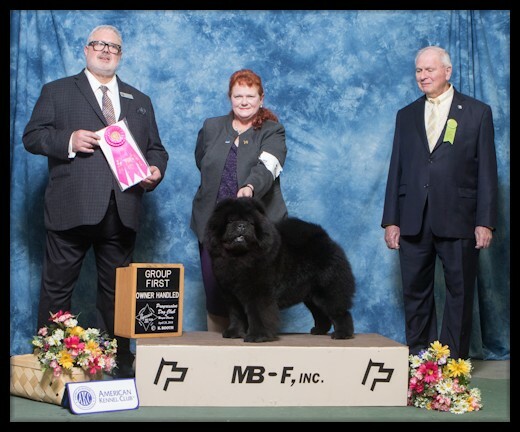 Judge John Brown at the Logansport Kennel Club Show On March 11, 2017. He was six months old. 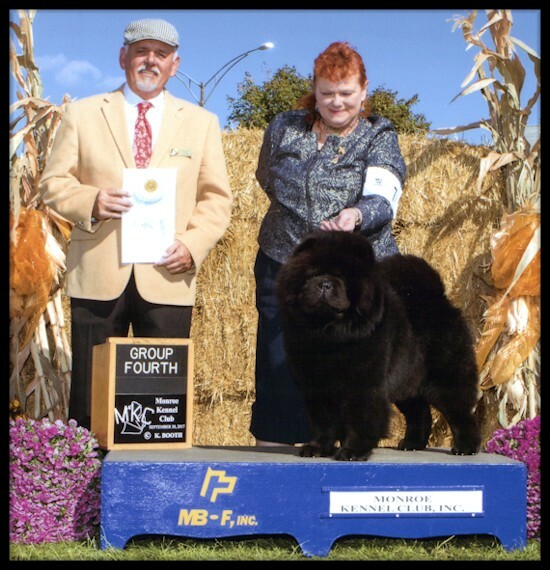 by the New England Chow Chow Club in Lombard, Illinois. 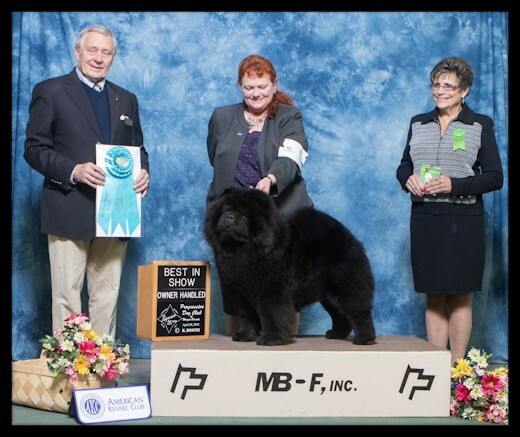 and Best Bred-By Exhibitor for a Five Point Major. 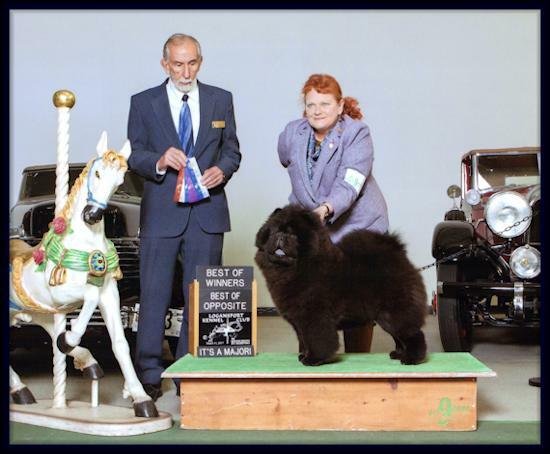 and was judged by Breeder/Judge Love Banghart. She selected "Phil"
Championship with another Five Point Major. "Phil" winning the Owner Handled Non-Sporting Group under Judge Larry Abbott. 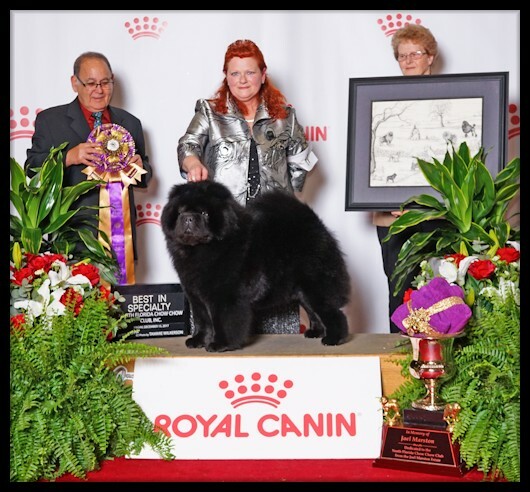 He was shown by his co/owner Tina Alexander, Hylite Chows. 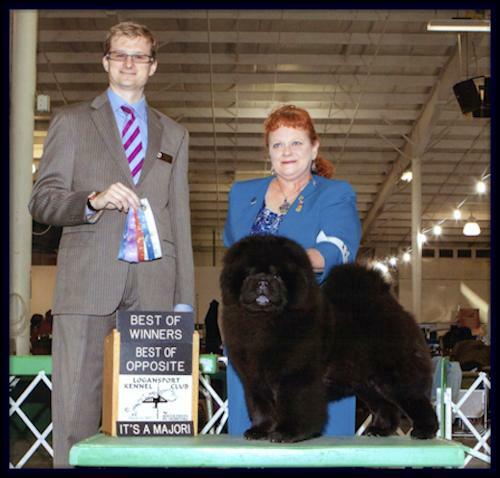 at the Monroe Kennel Club Show on September 30, 2017. 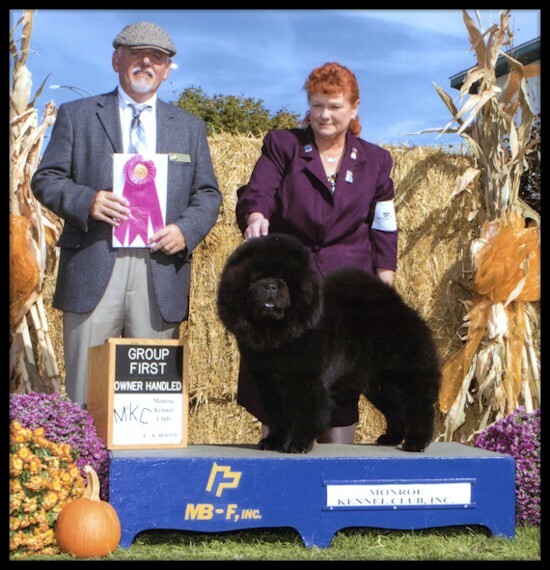 Judge Rodney Merry at the Monroe Kennel Club Show on October 1, 2017. 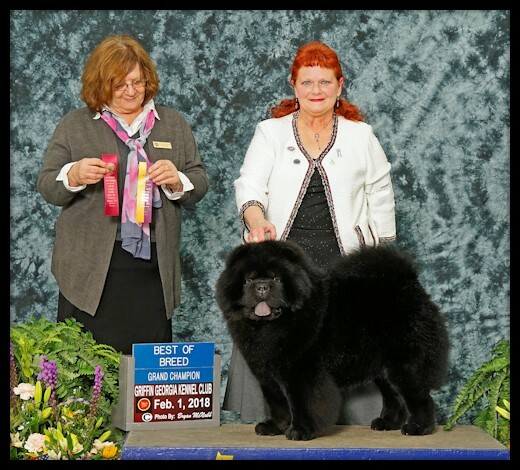 North Florida Chow Chow Club under Judge Dr. Ronald Spritzer. 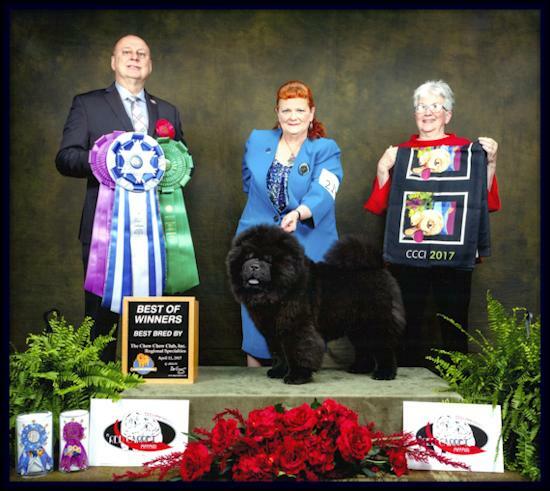 Phil winning Best of Breed at the Griffin, Georgia KC on February 1, 2018 under Judge Elizabeth Muthard. 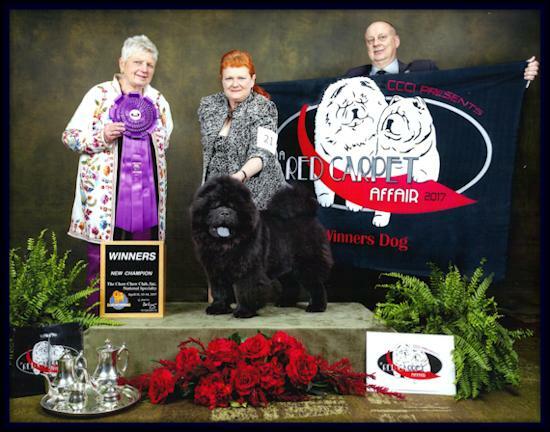 This win also completed his Grand Champtionship. 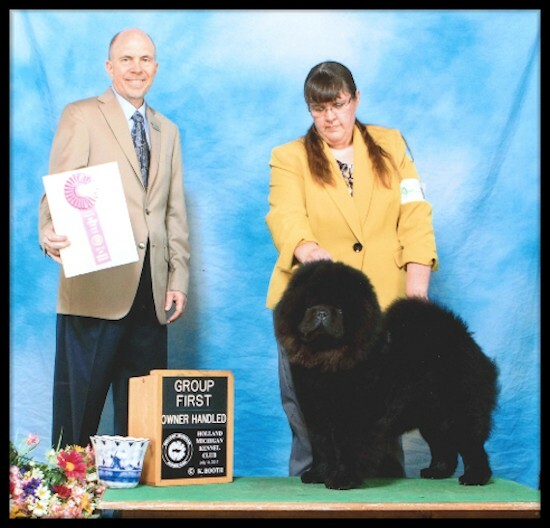 Phil winning the NOHS Non-Sporting Group under Judge David Kirkland at the Progressive Dog Club of Wayne County, Inc in Birch Run, MI April 28, 2018.